I won’t comment too much on the first two because, really, everyone has their own ways of marketing. Some wines are small lots and certainly pricing is something every winery has to determine, but I have never understood the third part of the plan. The customer, in case we are forgetting something, is the one on the side of the counter holding the cash or credit card. The seller is the one on the side of the counter handing over the wine. Wine can be a luxury item and yes there is scarcity built into it because, let’s face it, you can only squeeze a finite amount of juice from a grape, but remembering who is on which side of the counter is always the best marketing plan. 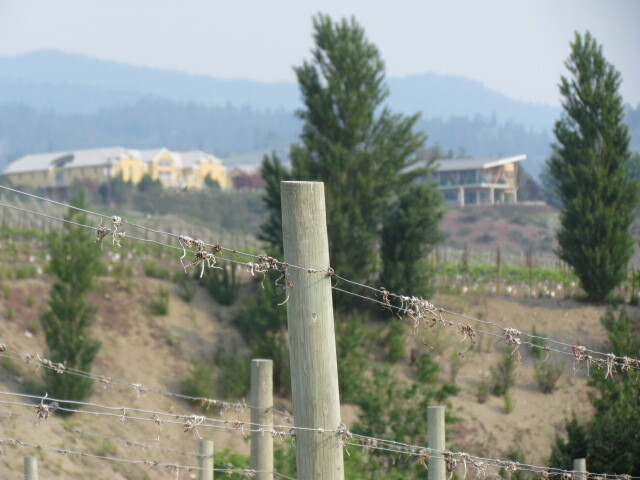 This entry was posted in Grapes and Wine and tagged luxury, marketing, Tinhorn, Tinhorn Creek, wine. Bookmark the permalink. I boguht some of this wine when on a trip to South Dakota. How can I order some more. Love it!